In 1978 The Doors released the album An American Prayer. 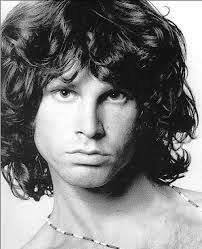 By then lead singer Jim Morrison had been dead of a drug overdose in Paris, France for seven years. What made this release unique is the band overdubbed their musical score with the reading of a mystic poem by the deceased Morrison entitled Ghost Song. The interpretation of Ghost Song remains a mystery for one main reason – Morrison never told anyone the meaning of his songs/poetry. His rationale for this silence was he felt it was far more important for the listener to figure out the meaning based on his own life experiences. However, some clues do exist for those willing to do some digging. It seems Ghost Song relates to life changing experiences especially when related to childhood and as one ages. The lyrics of Ghost Song follow including a link where you may listen to this melancholy dirge if you choose.